I love camping and the more primitive the better; as a young child I enjoyed many camping trips with my family. Back in the old days (did I just say that, eeekkk) our family would load the pickup truck up with tents, sleeping bags, camping and cooking equipment. After we started a camp fire for the evening’s supper; Dad would set his handmade cooking tripod over the hot embers and start cooking dinner. After a yummy dinner; we would enjoy my Mom’s traditional banana boat dessert; which included cutting a banana long ways and inserting mini marshmallows and chocolate chips then wrapping it all up in tin foil and placing it in the hot fire to create a melted supper yummy desert. Sometime we sleep inside our tents but often we would fall asleep outside while gazing at the bright stars and talking about life. 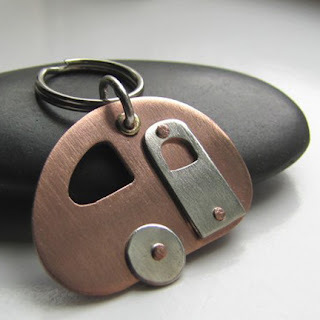 Mini Let's Go Camping key chain designed and made by Silent Goddess Art Jewelry. Check out her Etsy Store at http://www.etsy.com/shop/silentgoddess to view more of her amazing custom Jewelry in her online studio. 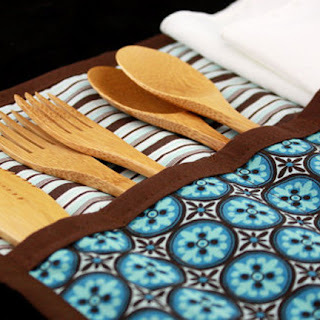 Urban Picnic Roll-up handmade by N Star Studios is perfect to take along on a family campout. This is a stylish and cute carrying case for lunch or dinner on a camping trip. The case comes equipped with two sets of bamboo utensils and two napkins. 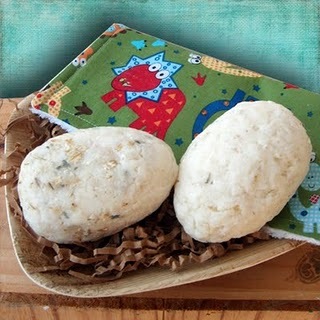 You must see this store online at www.etsy.com/shop/NstarStudio includes a very creative mix of handmade pottery, quilts, picnic roll ups and much more. 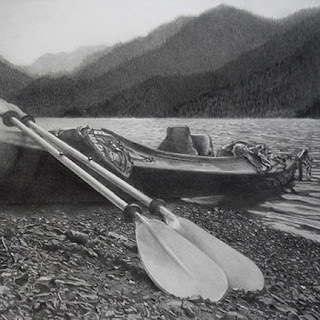 Summer's Rest is a graphite drawing by Kerning Studio on Etsy. I will enjoy looking over Jessica’s work at http://www.etsy.com/shop/jessicayerxa. She has an inspiriting mix of painting, art prints and greeting cards. Of course, don’t forget the bug spray and balm. I have a the perfect products for you and your family. 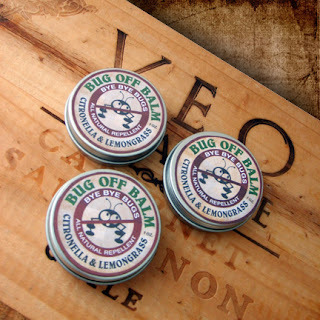 Handcrafted by Natural Garden Soaps, this natural insect repellent is DEET free, and safe for the whole family. It contains an effective essential oil blend. It effectively repels mosquitoes, ticks, and other biting insects. 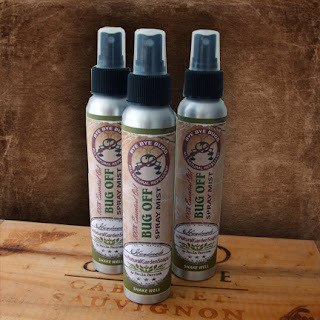 You choose from Bug-Off Spray Mist or All Natural Bug-Off Balm both are insect repellants containing a blend of five essential oils for a pleasant smell, and is non greasy. Protect yourself and family by aromatherapy from pesky bugs with this effective blend of oils. Get results without compromising your family’s health. Have fun in the great outdoors and I would love to hear about your family camping trips. Thanks so much for adding my Picnic Roll-up to your lovely collection of goodies to go camping with! Can't wait till my first trip out! I've only been camping once! I was 9 months pregnant so I think my less than ideal experience soured me forever ~ ha! Didn't know you had homemade bug spray ~ gonna need some of that! Hi Paula, I enjoyed reading about your camping memories. I had similar experiences with my family and those were our favorite vacations! Campfire food is the best! I followed you over here from a comment you left on Julia's blog! I think camping is great fun, as long as there are bikes and hiking trails, and water and BBQing.....etc! And as long as your there with loved ones! I'm your newest follower...drop by sometime to visit me! I'll put the kettle on!